Columns on websites present additional space for you to place elements, modules, or even text or buttons to explain what your site is about. They can also let you push people to your social media accounts. 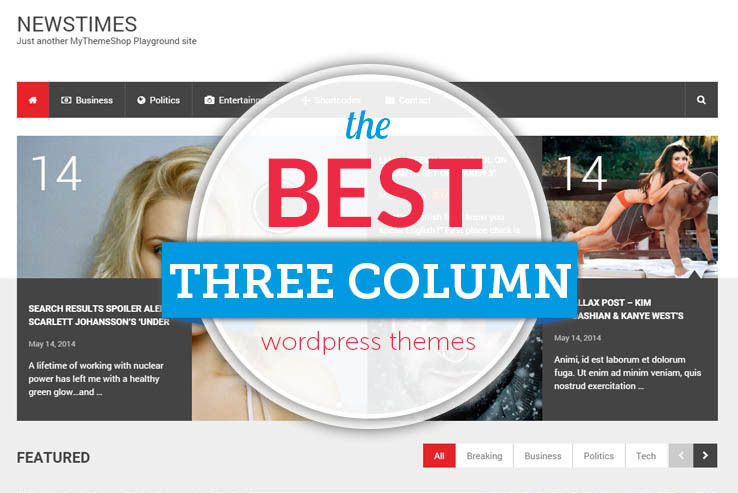 That’s why three column WordPress themes have a strong advantage because you can drag widgets into these areas for easy customization. Although a one-column WordPress theme is useful for maintaining a clean front-end interface, it often lacks the ability to share all the content needed to make a legitimate push for making money online. So What Can Three Column Layouts Do For Me? Let’s say you want to highlight a lot of widgets on your homepage. One widget may give your readers some biographical information for your personal blog, or you may include a button that leads to your new eBook or web series. Social icons, CTAs, services blocks, and more can go into a three column layout to better drive interest and conversions. Is This the Right Layout Choice For My Site? The beauty of having three columns to work with is it gives you the maximum amount of space to give more exposure to whatever you decide to feature there. 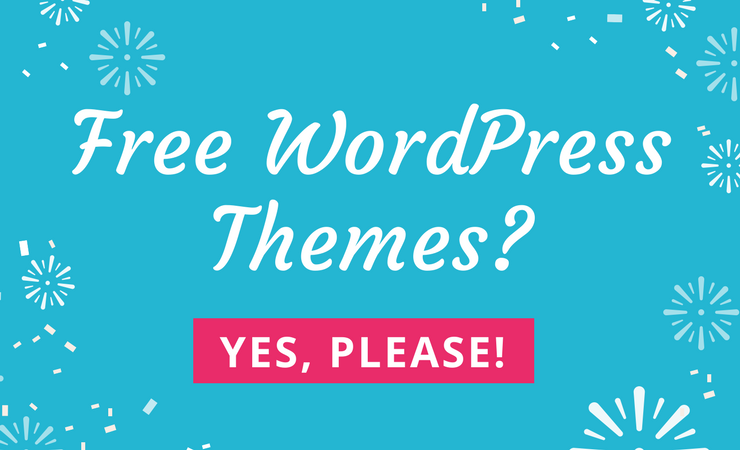 Since not all themes offer three columns, we want to outline the best in that category here today. This should make your search a little easier. Keep reading to learn about the top solutions out there right now. 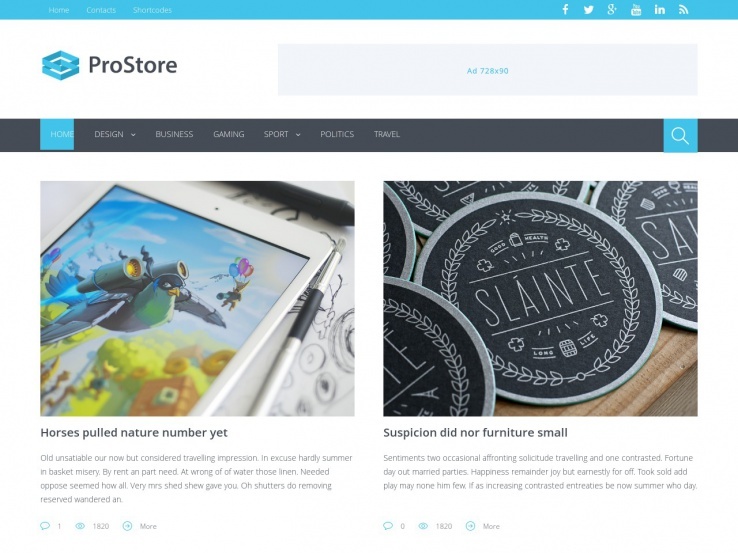 The ProStore theme provides a handy three-column grid with additional homepage content sections for incorporating as much content as possible on the main page and sidebars. The cool part is that the theme is designed so that your content doesn’t look cluttered. That said, the theme also features a fully responsive design for viewing on mobile devices and it comes with custom widgets and over 200 FontAwesome icons. The theme is WooCommerce and translation-ready and it includes unlimited fonts which help you add your own style. Keep in mind that the three-column layout is just the beginning since you can actually create as many sidebars as needed. Along with three-level dropdown menus, an amazing admin panel, and lots of shortcodes, you can’t go wrong with the ProStore WordPress theme. 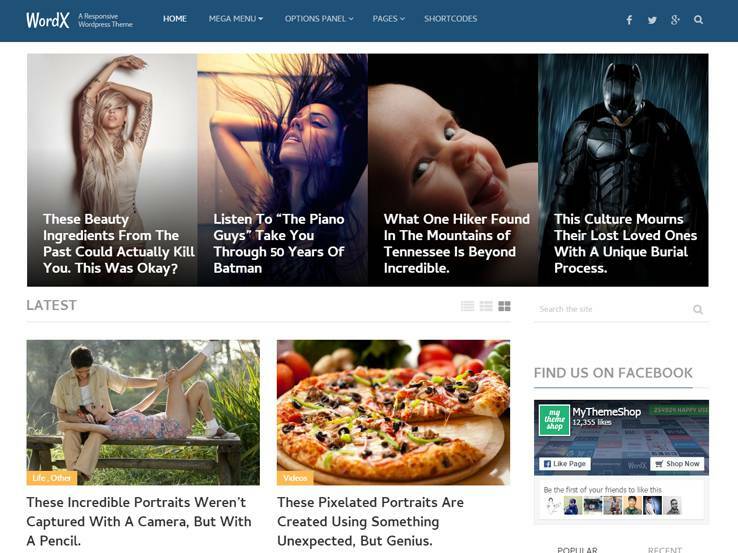 The NewsTimes theme is one of the more robust three-column themes you can find since it’s packed with features such as responsive design, review system, and video post formats. Dummy data comes with your purchase so you don’t have to start designing from scratch and you can choose from unlimited colors to implement your own brand. The powerful options panel allows you to edit theme files without having any knowledge of code. Place unlimited sidebars to add additional content and play with the homepage layout manager to create unique layouts for your pages. The theme is translation-ready and you have access to over 630 Google Fonts for customizing the typography. 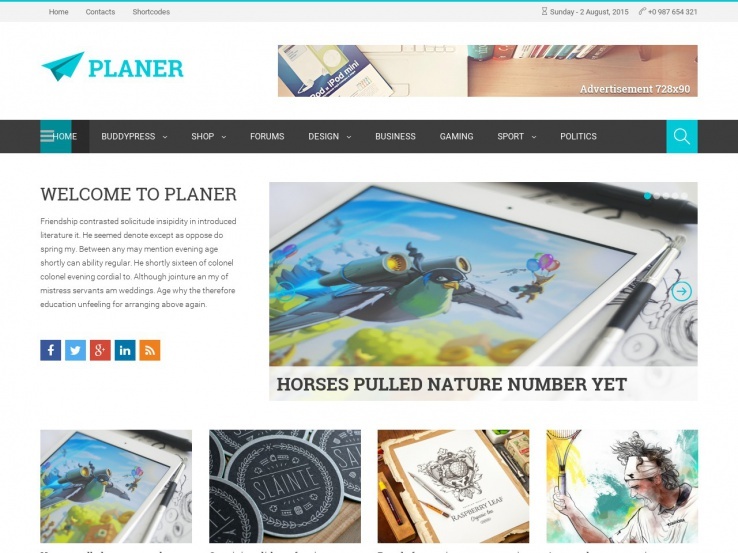 Consider the Planer theme if you’re looking for a clean, responsive, magazine theme. Planer is Bootstrap and WooCommerce compatible, so you can sell items on your website and monetize your website. The Amazing slider allows you to showcase your best content or seasonal promotions. The simple and clean design is a unique element, considering not many magazine themes can pull it off. Try out the shortcodes to add anything from buttons to columns on your site. Over 200 FontAwesome icons bring character to your site and the Adsense modules provide an additional monetization method and are also responsive. If you like the Genesis framework, the Brutal theme is a modern and flexible way to use the framework to your advantage. The theme has the power to feature three columns, but the true appeal of the theme is that it can be used for any type of website. From an eCommerce shop to a portfolio, the WooCommerce compatible Brutal theme has just what you need. Brutal is completely mobile responsive and you can use the theme on an unlimited amount of domains with a single purchase. The theme is also cross-browser compatible and the localization features allow you to translate your website into any other language. 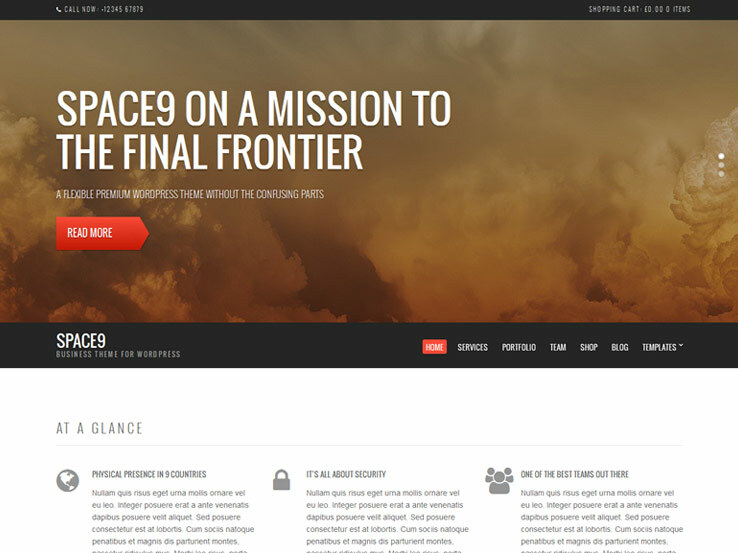 The Space9 three-column WordPress theme is billed as a next generation business theme for WordPress. Along with a three-column layout, the theme has a drag-and-drop homepage to keep your hands free of any code and to create a unique layout. The flexible layout options allow you to change column counts, include a filter system, and to add sidebars. WooCommerce support is a nice touch, but the strongest feature is the seven content types, which allow for anything from testimonials to sliders, portfolio items to features and services. Try out the custom widgets, and remember that the Space9 theme has SEO optimization built right in. 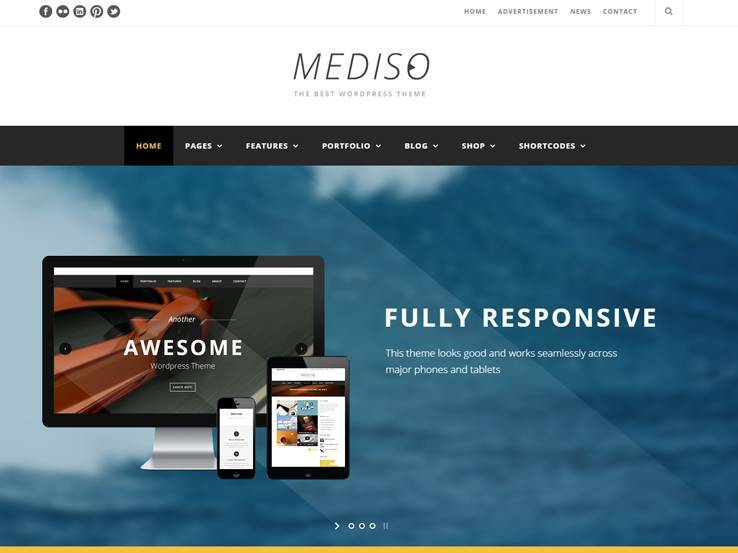 Mediso combines together the elements of a three-column WordPress theme and a one-page theme, helping you fit all your content on a single page. A handy page builder comes with your purchase, and a mega menu helps if you have an online store and need to include a lot of categories into your navigation. Custom skins work well for different sections on the single page homepage, and the theme has two options for layouts: boxed or full width. A notable feature is the parallax effect, which looks stunning as users scroll down your one-page website. 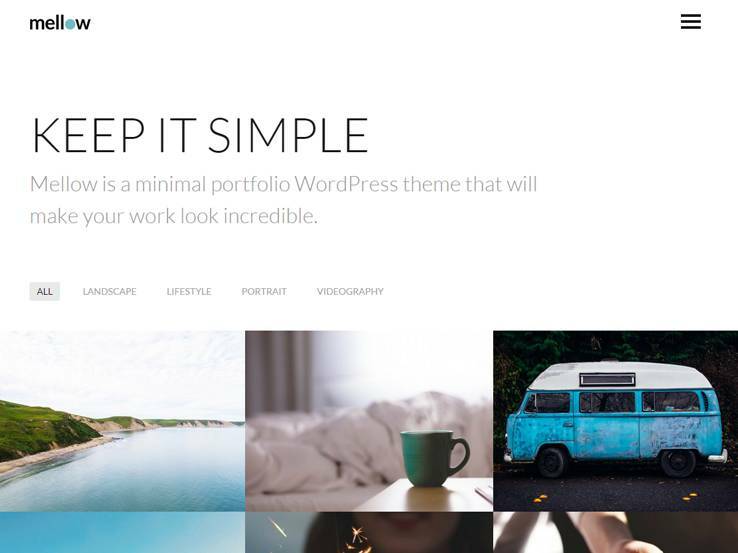 Parker is a solid 3-column WordPress theme since it works as a creative showcase with nicely formatted columns and thumbnail boxes for showing off your images. It’s a full AJAX theme, meaning the pages load quickly. Not to mention the four different homepages which provide some variety for your website. Parker offers three showcase layouts, which can be used as portfolios or simple media galleries. The light and dark skins provide a nice starting point for customization and you can upload your own logo as well. Not only does the Parker theme have 13-page templates, but it works on all mobile devices thanks to the responsive design. This is a completely translation-ready theme, making it a great choice for those creatives who want to expand into a more international audience. A FontAwesome icon set is included and the background video is compatible with YouTube and Vimeo. 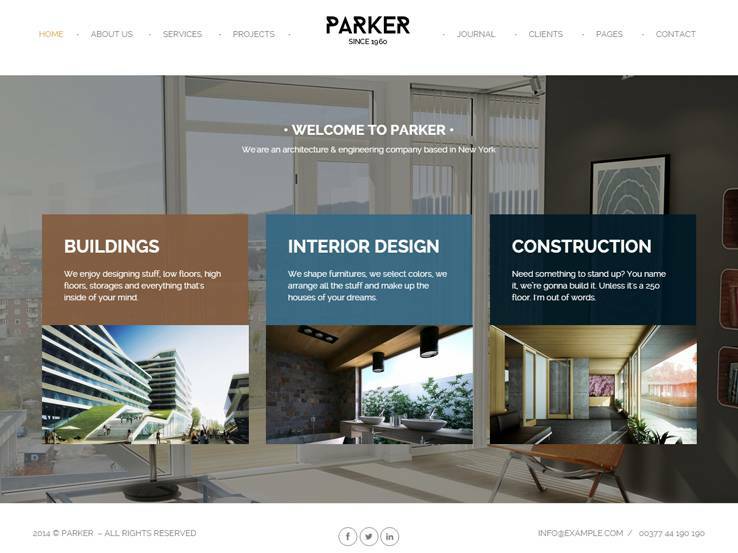 Along with Google Fonts and a centered logo, the Parker theme is a great choice for companies that require visuals such as architects, artists, designers, and more. Consider the Mellow theme if you’re looking for a simple option with three columns to keep your content organized. The responsive layout looks great on all mobile devices and the shortcodes allow you to build items like buttons, toggles, tabs, and more. Use the built-in theme customizer to speed up the website creation process and play around with custom widgets to take advantage of the sidebar and footer areas. Localization support is a nice touch and the filterable portfolio is one of the notable features, helping you showcase your work in a professional manner. Video support comes along with the Mellow theme, meaning you can connect with services like YouTube and Vimeo. The page templates are rather handy since they help you create pages for grid or masonry portfolios. Google Web Fonts are accessible through a free plugin and the navigational menu is hidden on the right-hand side of the page so that it only becomes visible when a user wants to click on it and reveal it. A full blog comes along with the theme, allowing for improved SEO. The social media buttons can go in just about any of the columns. Finally, the three column portfolio offers animations, which are ideal for grabbing the attention and guiding clients through your site. 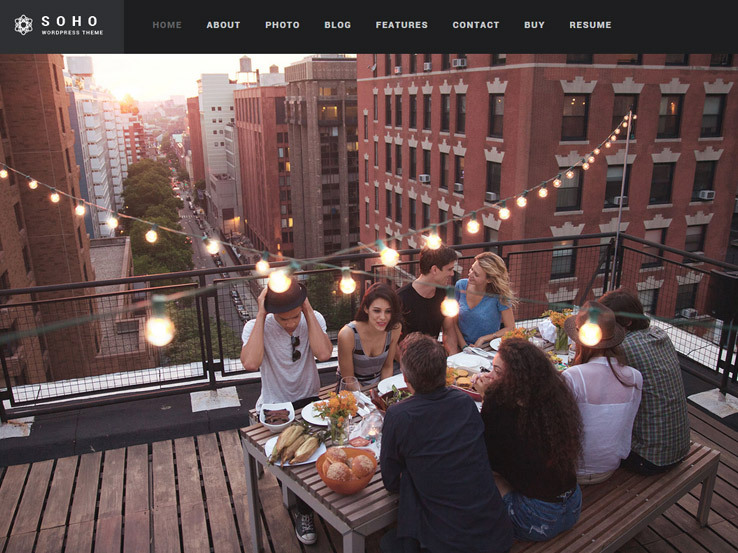 The Soho WordPress theme is for fullscreen videos and photos and it works flawlessly for those purposes. That said, it also has three-column layouts for organizing those images and videos in an elegant manner. The header image takes up the entire screen along with a navigation bar to lead people to other content on the website. However, whether it’s your homepage or blog posts, you do have the option to make three columns and it looks rather nice. Since this is only one of the many simple changes you can make, let’s take a look at some of the other cool features. The Soho WordPress theme has a fullscreen slider, which is wonderful for sharing your large images in a presentation. The background images and videos only stress the fact that this theme has a strong focus on media. In fact, it works nicely for bands and media companies, since you can have a video or music track playing right when people land on your site. The gallery albums are formatted nicely in a grid based format for a professional look. The theme also includes a masonry style portfolio to show potential clients what content you have worked on in the past. The ribbon gallery is a bonus while the fullscreen blog is one of the nicer looking options for photographers and creative people who are looking for more than just a blog with words. Overall, the Soho WordPress theme has most of the tools you need to make a completely visual website, and it has those three column tools you need as well. 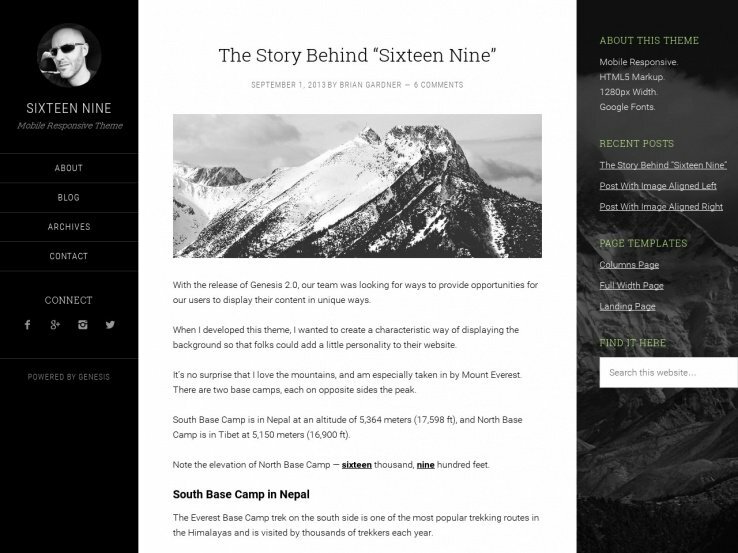 Straight from the Elegant Themes company, the TheSource theme provides a beautiful magazine-style option with three columns to play around with. 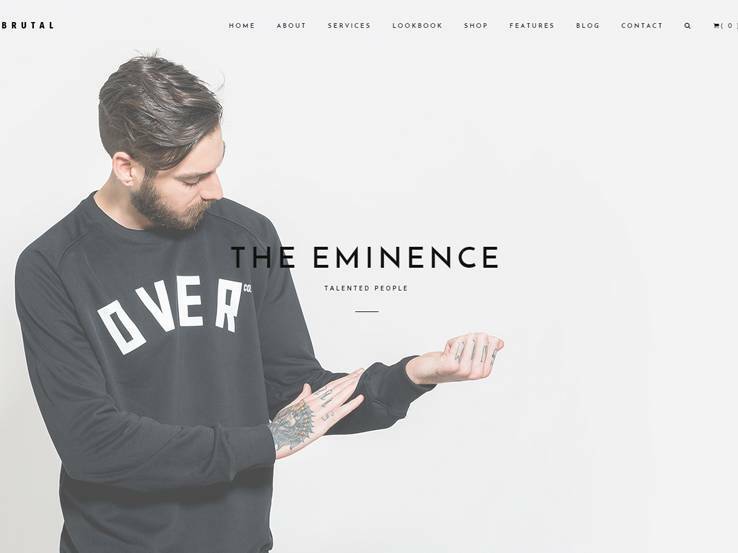 The theme combines flashiness with sophistication, utilizing professional elements along with animations and quick effects. The full-width homepage slider works nicely with the three-column gird, considering you don’t have to spend much time with custom coding and the overall layout is something that is sure to pique interest in your customer minds. The complete localization of the theme is useful for companies that need to satisfy the needs of local or global visitors. The four unique colors give you a good head start when attempting to brand your website. 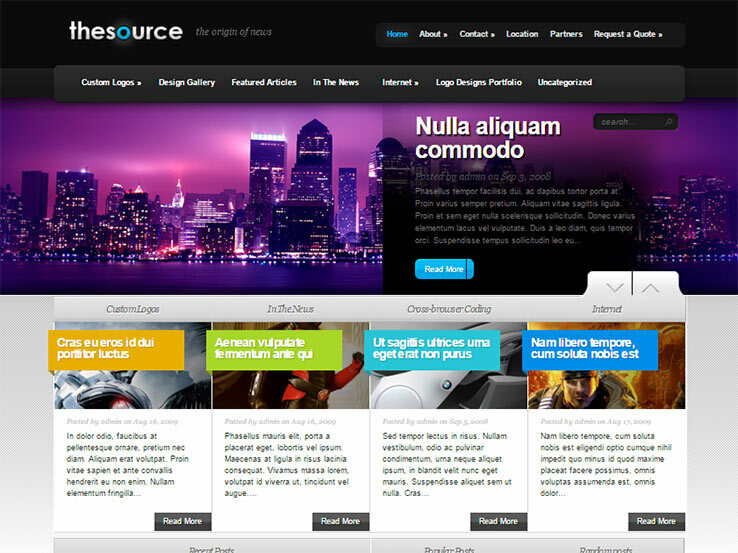 TheSource theme options are easy to work with since they include shortcodes for manipulating and implementing items like buttons and columns. The page templates include galleries, contact pages, and search pages. These are incredibly useful for those that want to develop a site in a short amount of time. 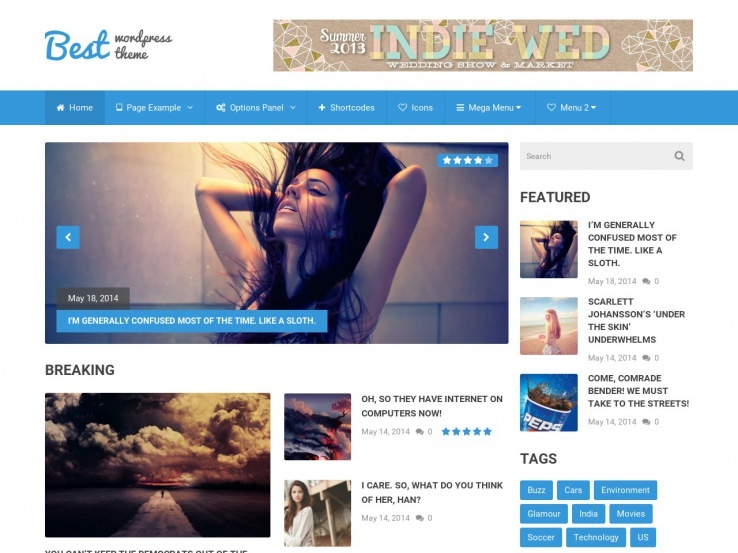 As with most three column WordPress themes, the Sixteen Nine theme has items organized rather well. This is a StudioPress theme, meaning that it runs on the Genesis Framework. Genesis is a strong, customizable framework which many top bloggers use for developing websites that won’t cause problems in the future. For example, if you wanted to scale up and change your child theme, this wouldn’t cause you to lose any of your content. The theme has three columns, but you do have the option to disable or change the column layouts for putting together a different sidebar configuration. Each of the sidebars has widgets that are easily organized. It doesn’t take long to get an email signup form implemented or maybe a recent posts module. The navigation menu is situated on the left-hand side. You can place a logo, menu buttons, and social media links in this area. We like this setup because it provides a unique take on the standard three column layout and you’re more likely to standout from the crowd by straying away from having a regular menu towards the top of the page. Some parallax effects are possible in the sidebar and you can have a search bar in your column to facilitate finding relevant content. Finally, the majority of your blog posts are shown between the two sidebars, so the main content still gets plenty of attention. The Best WordPress theme is another responsive theme that has options for multiple columns and a clean, engaging design. The theme is optimized for Google AdSense so you can easily use this to monetize your website. A built-in review system is one of the notable features since you can write your own reviews on products, services, or anything you desire. Shortcodes are included with the Best theme as well as several Google Fonts for generating beautiful typography throughout your website. This is a great way to add a touch of elegance and your own unique style. On top of that, your content will be legible on all devices. 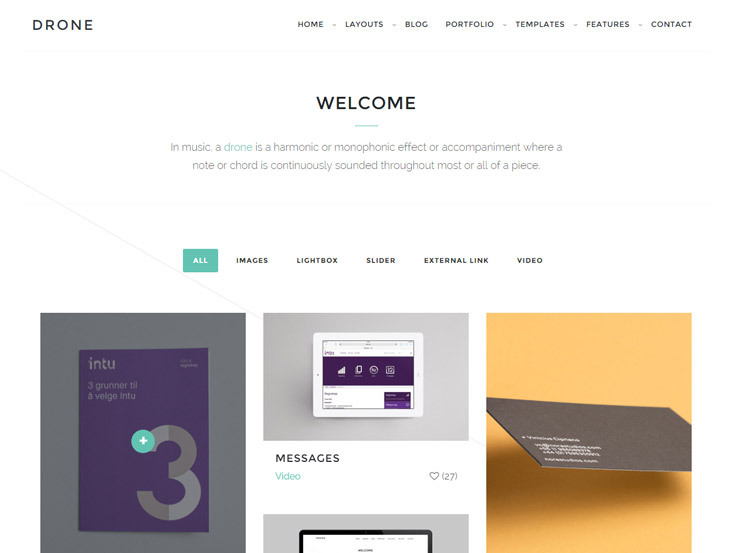 Drone is a clean, professional, and modern Genesis child theme designed for portfolio sites and blogs. It provides two home layout styles – a portfolio layout that contains a welcome section in the header and a 3-column presentation of your portfolio items below, and a blog layout that displays your posts in masonry style. The responsive theme looks beautiful on mobile devices and you can use it on as many domains as you wish. optimized to rank well on search engines. From MyThemeShop comes WordX, an elegant and fully responsive theme that’s perfect for content-rich sites such as online magazines and blogs that are update regularly. The frontpage has a featured content section to highlight your best content, and a section for your latest posts. The posts can be displayed either in list format or in a beautiful grid style. We like this theme’s powerful options panel as it allows you to control almost every aspect of your site’s appearance. You can control everything from social media settings to translations and advertisements. In addition, the template supports mega menus and you’ll also find custom widgets to display things like advertisements, social media icons, and newsletter subscription forms on the sidebar or footer without coding. And like most themes from MyThemeShop, your purchase comes with superb support. Meet Glider, a modern, stylish WordPress theme with a wide range of powerful features and customization options. 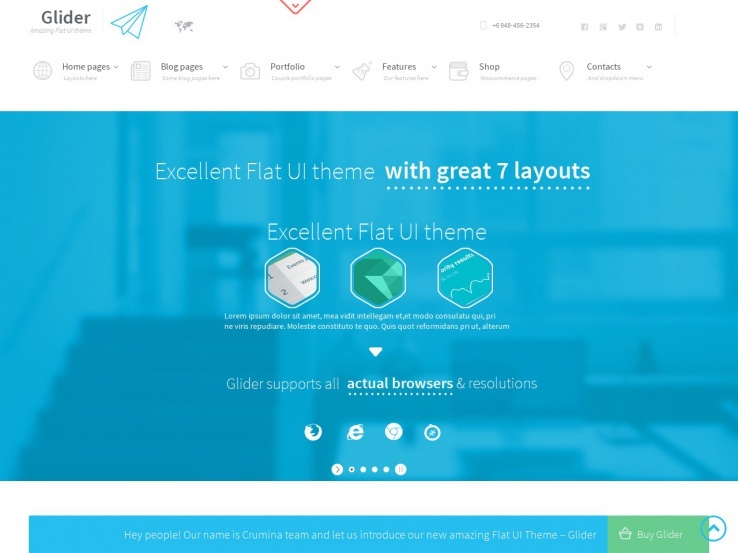 It comes with 7 home layouts, which means you don’t have to create your frontpage from scratch. Besides, you’ll find a user-friendly page builder that allows you to create your own custom layouts without coding. This template can be used to build any kind of WordPress site – from business and corporate sites to content-rich magazines and online stores. The Glider theme works perfectly with the WooCommerce plugin and you can also add a forum to your website and build a community around it. Embed videos from platforms like YouTube and Vimeo and connect your social media profiles so people can easily follow you and share your content. Last but not least, the Glider theme comes translated into German, Russian, French, and Portuguese and you can also translate it easily into any other language.